Search will match all words entered. Use quotes to match two or more words as entered. This is a unique one of a kind item. Once sold, no others like it will be available. Community | Marketplace Product Search All Categories Business Resources Commercial-Retail Festival Swag Fine Art & Craft Handmade Music-Performers Supplies-Equipment Vintage-Antiques advanced searchadv.s. 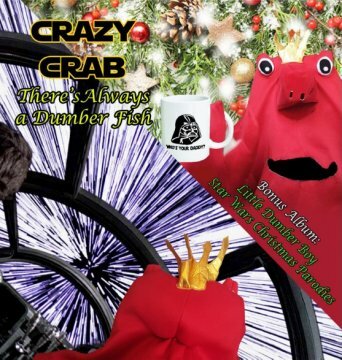 Crazy Crab's debut album takes on the Disney era of STAR WARS! 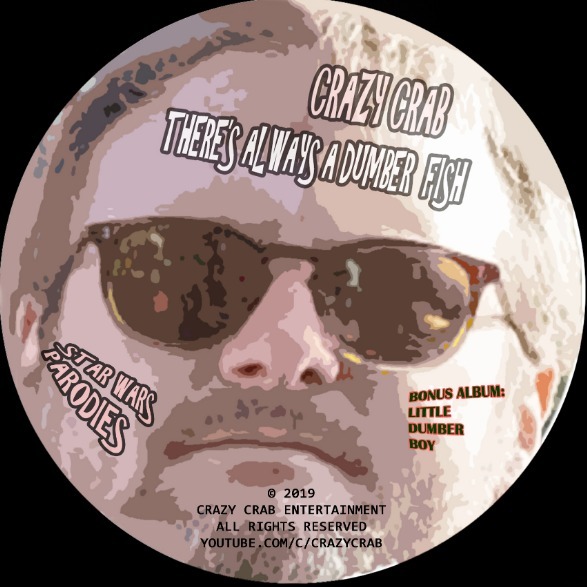 Album features 18 hilarious songs and parodies! 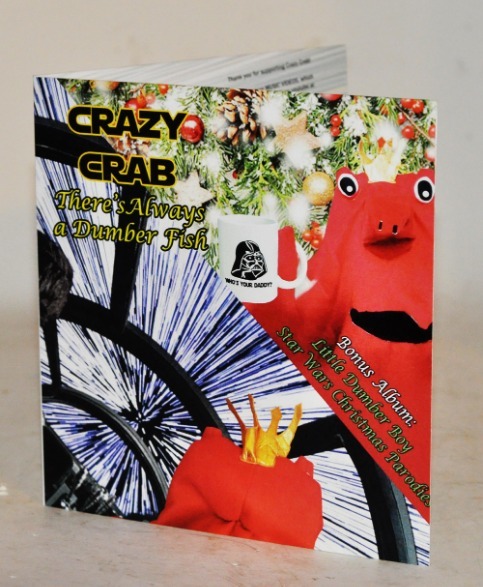 This physical CD includes a professional wallet case with graphics and song information. 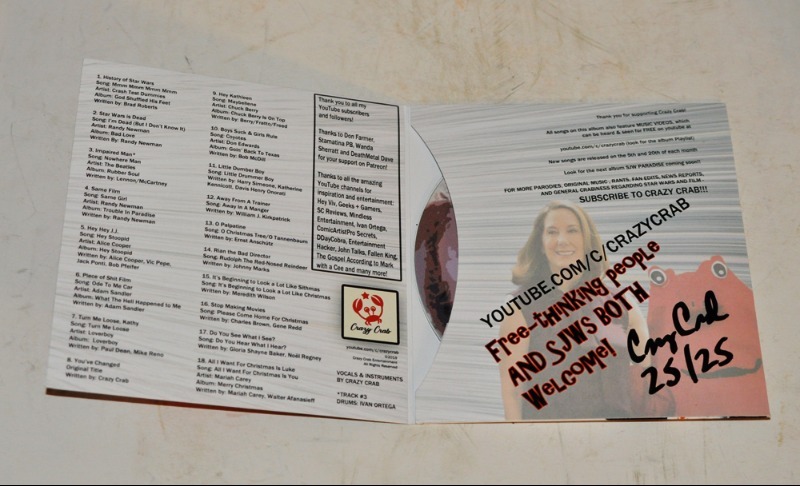 It will be signed by Crazy Crazy himself!! 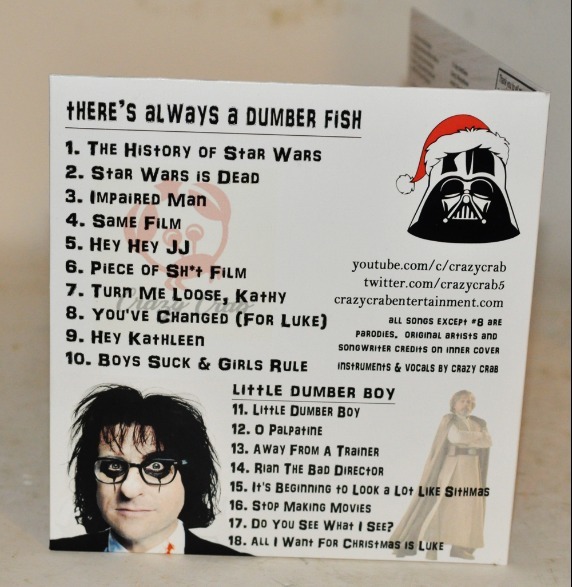 Album also includes 8 amazing Christmas parodies guaranteed to have you rolling! Only 25 copies exist... When they're gone, they're gone!